Editor’s note: This is the second of a two-part exploration of the Special Interest Community System. Read the first part here. Columbia is currently home to 14 Special Interest Communities. When I first began my research into the program, I found that it was unsure of its purpose and place in the campus community in its early days. Former residents of the inaugural SICs—then called Special Interest Houses—can recall few details of their experience. Yet after immersing myself in several SICs this past month, I felt an overwhelming sense of community. This seems to be a moment in which many SICs are achieving the goals they were created to achieve: community, outreach, and exploration of interests. I visited three different communities to see what makes this golden era of SICs possible. 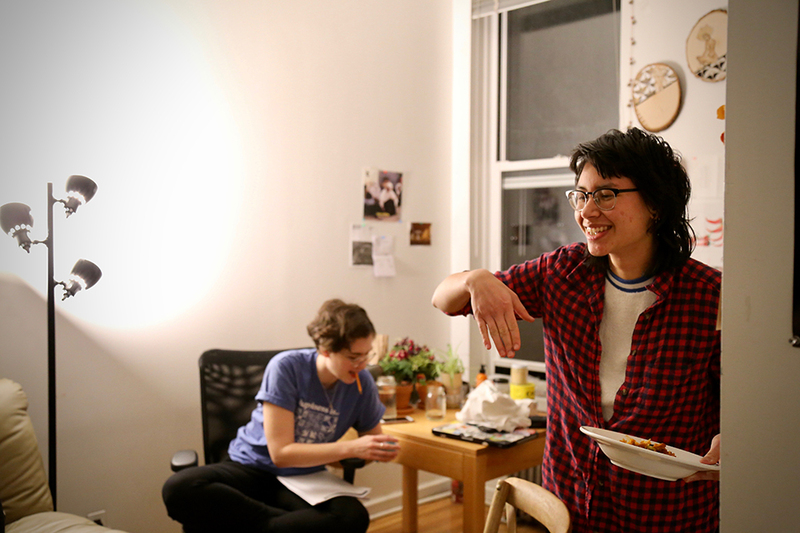 Before we even walk in, Rachel Sherr, a Columbia College sophomore, informs me of several important Potluck House rules: I must remove my shoes, as some rooms in the house are strictly no shoes. Some rooms are off-limits for interviews; their tenants have expressed that they do not wish to have visitors tonight. We must always ask permission to take photos of residents. We walk by door after door on our way up to her room, each left wide open. “It’s great to come home to a community, to people you know, instead of just cold empty hallways,” she tells me as we sit cross-legged together on her floor. Potluck House is a community built upon four pillars of communal living: weekly meetings, keeping your door open, a potluck dinner at the end of every week, and a meal rotation system in which members of the house take turns cooking dinner for the house every night. When we finally walk through the door, I am met with the overwhelming, warm smell of bread baking. Sherr informs me that it’s her roommate Max’s night to cook. 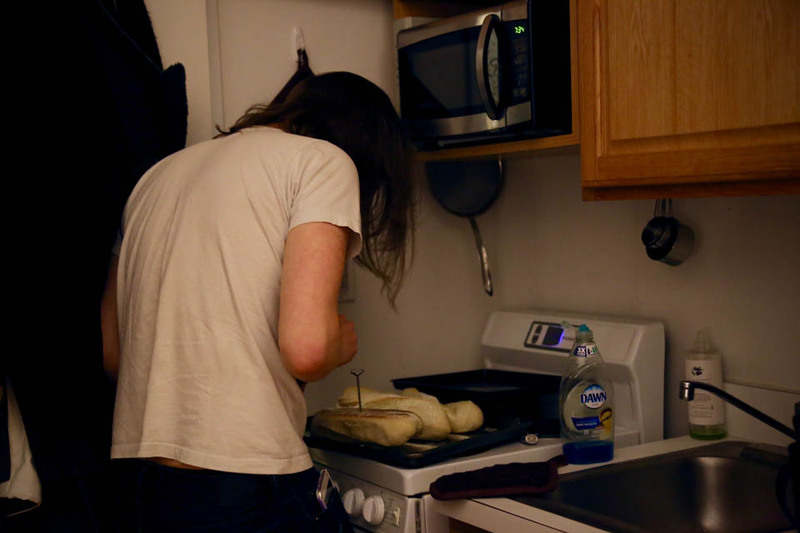 While we talk in her room, Max works by the oven, occasionally checking on the bread. Sherr later shows me another resident’s room, which is mostly given over to common space with a bedroom in the back. A group of residents are gathered on the couch, watching Buffy the Vampire Slayer on a small laptop screen. Others mill about the kitchen scooping chili and pieces of Max’s bread onto their plates. One resident is currently receiving a stick and poke tattoo on their ankle on the couch. I break off a piece of bread and join them around a small coffee table. A girl named Izzy Sollohub, a Columbia College senior, sits on the end of the couch, half-watching the show and half-reading a graphic novel. She brightly tells me that most of her friend group is built around Potluck House. “I like ’em all so that’s good! If I hated y’all then it’d be bad.” The group bursts into riotous laughter that drowns out the sounds of Buffy in the background. 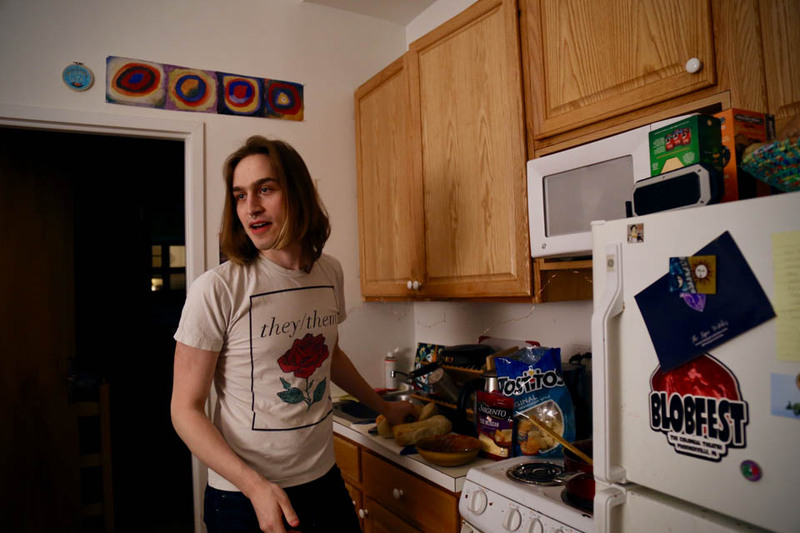 In addition to its domestic affairs, Potluck House does open its doors to students outside its home as well, through events like “Hotluck,” “Bowling for Soup,” and the annual “Subway Party,” where attendants party en route to Coney Island. But as open as their doors can be at times, the group is tight-knit to the point that I feel acutely awkward as I sit in the corner and observe them eating their home-baked bread, like an intruder at a family’s nightly dinner. It makes sense considering that they spend almost all the time they’re at home together. This constant proximity is not just a part of the experience in Potluck House; it is the experience. Kendall Harvey, a Columbia College junior, is curled up in an armchair, a backpack by his feet, when I meet him for the first time in the lounge of Manhattan House. The lounge is located in the middle of the house, meaning I pass by each bedroom door on my way to speak to him. On his door is a printed picture of a small cartoon bear holding up a sign reading, “We’re beary proud of you!” Below it: a handwritten note reading, “Congrats of being ⅝ of the way done with college!” in brightly colored ink. It reminds me of a mother hanging her children’s artwork on a fridge. 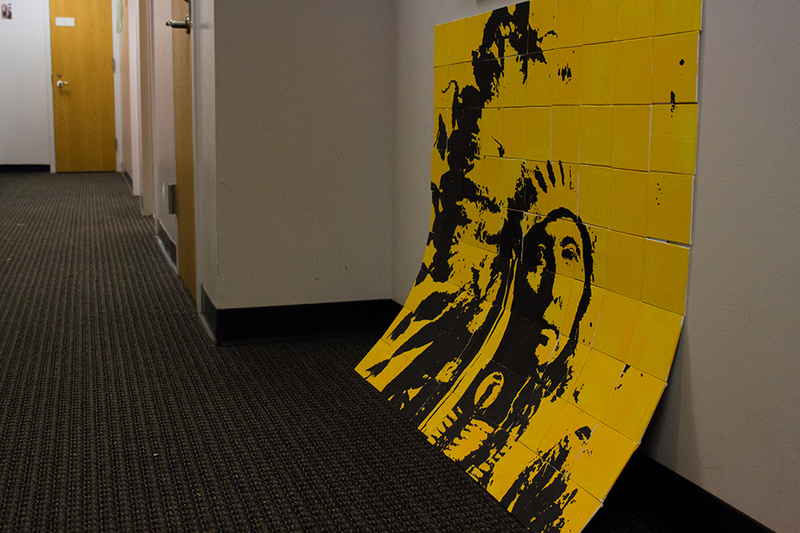 Manhattan House is an SIC focused on Native culture and identity. Its name pays tribute to the Lenape people, the first inhabitants of Manhattan. Manhattan means “the island of many hills” in Lenape. I’ve been in Manhattan House before for Native American Council meetings and events, but this is the first time I’ve just hung out in the lounge for an evening. Through the glass window of the lounge is brightly colored Native artwork reading, “Just ’cuz you forgot doesn’t mean we are gone...” The sense of community and Native pride is not only embodied by the people through events and community meetings but in the very walls of the house. Harvey has lived in Manhattan House since he was a sophomore but would have moved in earlier if he could. He didn’t connect with the floormates of his first-year residence hall and felt that had a negative impact on many aspects of his life. Once he moved in during the fall of his sophomore year, not only did his friend group change, but his productivity and happiness also improved. He plans on living here until he graduates. Manhattan House moved into this space, which features a good amount of communal space compared to a year ago when this SIC was located in a brownstone on 113th. This larger lounge allows them to hold more events now, like “Frybread Fridays,” during which residents use the large kitchen to cook frybread for one another and anyone attending the event. Frybread is a traditional indigenous food that almost tastes like pan-fried bread dough, if fried bread dough was a lot more delicious and could also be made into tacos. 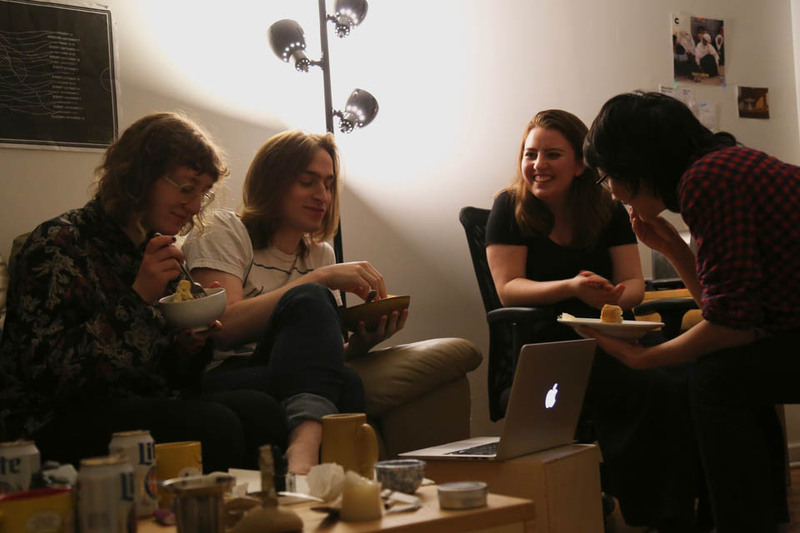 Other regular Manhattan House events include biweekly meetings, dinners, and movie nights. When I return to the new lounge a few nights later to talk more extensively to Amy Small, a Columbia College sophomore, I find her in the lounge chatting and laughing with Harvey while they both do homework. This is Small’s first year living in Manhattan House and while she plans to apply for regular dorm housing next year, she believes that living in Manhattan House was essential to helping her feel comfortable and find friends at Columbia. As I sit with them, they try to recall the first time they met. Small remembers meeting Harvey as a high school senior during Days on Campus. Harvey, then a first-year, invited her to brunch, and she remembers sitting across from him in silence, unsure if he was upset or just quiet. He doesn’t remember it like this, but Small insists this awkward brunch was their first meeting. These days they spend many nights in the lounge together like this, just talking. Small tells me that they’ve grown closer, at least in part because of their indigeneity, adding that since they “come from the same nation, we have like little inside jokes” that other people would not necessarily understand. I feel the same comfort here that I’ve experienced at NAC meetings. Small describes a community that forms around their indigeneity and then evolves into friendships that can only be fostered through shared housing. 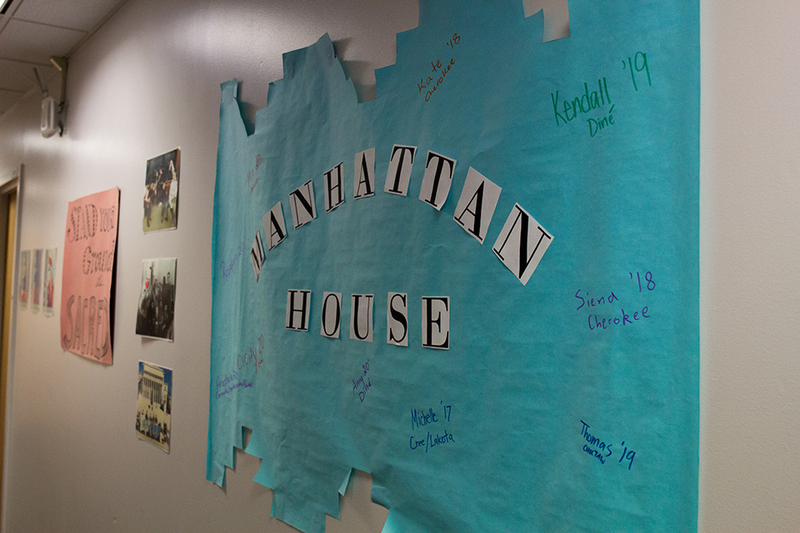 The residents of Manhattan House, who may have started the year as near strangers, now find themselves in relationships which Small describes as similar to a siblinghood. They’ve grown so close that some residents have even shared their location with one another on their iPhones, so they can be in touch whenever, wherever. Just a few doors away in River Hall, you’ll find another SIC, but this one you’ll hear before you even see it. If you walk into the lobby of River Hall on any night of the week, you might hear the sound of drums down the hallway on your left, echoing the sound of a saxophone down the one on your right (much to the dismay of the neighbors who have lodged several complaints with Public Safety). 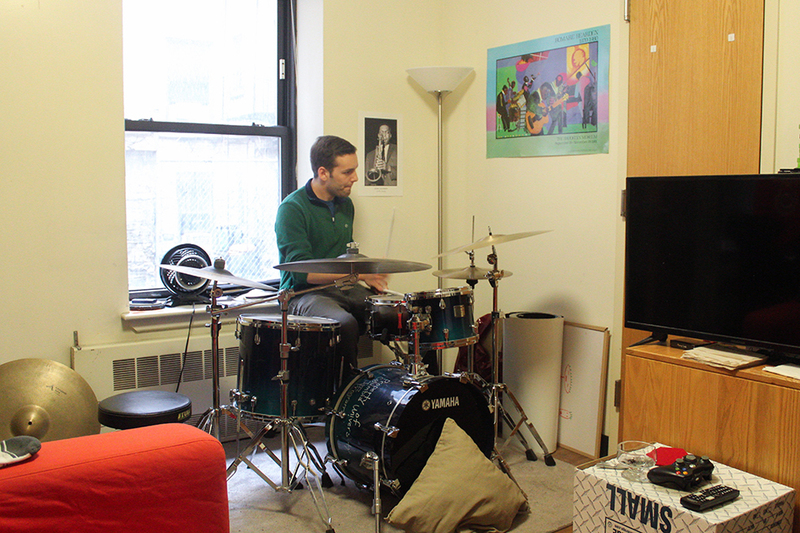 Jazz House was created in September 2014 as a place for students to come together and jam at any time of the day. This setup, which allows musicians across campus to riff off one another, creating a hub of jazz music on campus, is so unique that it was even covered in the New York Times in late 2015. It is the only SIC on campus that is both a housing option and an ABC-recognized club. Yet it seems as though space significantly impacts the dynamics of the community. Jazz House is less of a common “house” than a pair of bedroom-flecked hallways disconnected by the lobby of River Hall—the only designated “shared space” being two small kitchens. A physically divided house has a bearing on where residents hang out, who they see regularly, and who they play music with. Yet Mesko says they try their best to keep their community unified despite this; his own personal goal is to eat dinner with the whole house by the end of the month and to bond over impromptu jam sessions and planned events. This is one of the reasons Jazz House is moving to a different brownstone next year. This new brownstone also features more rooms to accommodate the greater numbers of residents that Jazz House will have next year. 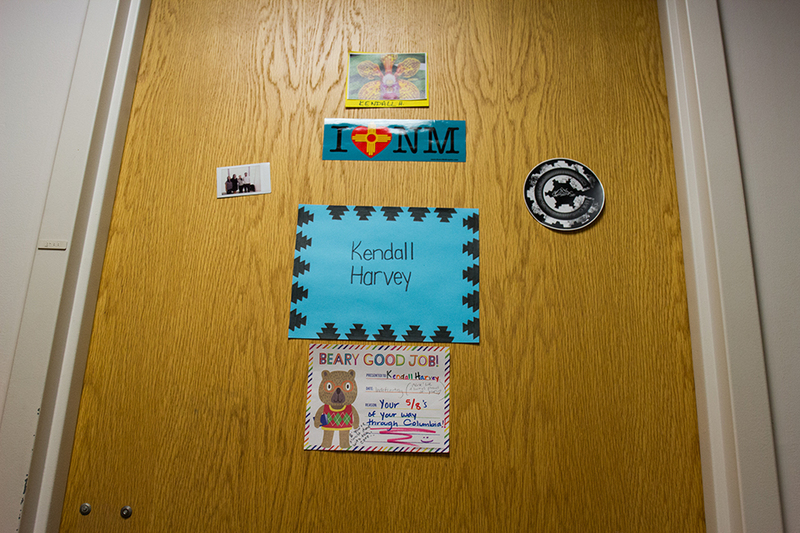 In addition to Jazz House, residents often practice in Dodge Hall, where they have a standing room reservation (a perk of being a registered student group), a location that never invites complaints from neighbors. The house hosts jam sessions and listening parties that are open to the public and regularly attended by what Mesko terms the “jazz community on campus,” a small but dedicated group of musicians who often play jazz together in some capacity or another. These musicians frequently congregate right in Jazz House, if not as a resident then as a participant just using the space to meet other jazz musicians or practice their music with others. As we talk over the small table in the kitchen, Mesko describes the passion he has for Jazz House and the community he has helped build here. Mesko, like so many others in SICs, clearly sees this special type of housing as more than just a space to live—as the locus of his most intimate community. And these communities are not static. If not enough students show significant interest in a particular house over an extended period of time, the SIC faces the possibility of swiftly disappearing and being replaced by a new community more reflective of the campus’s current interests. This happens almost every year.